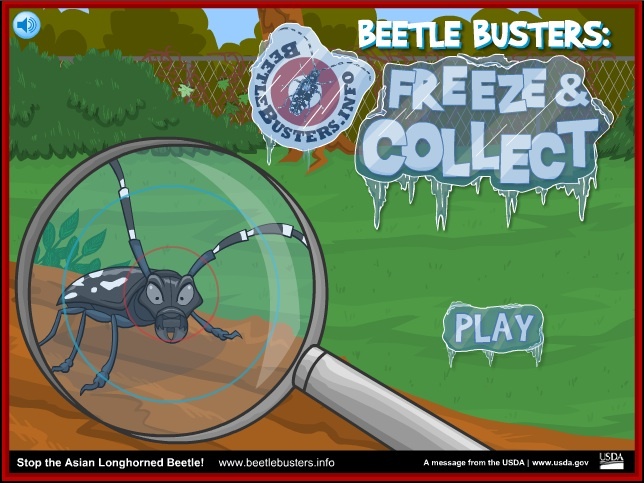 I created Beetle Busters: Freeze & Collect with JMH Education (now Carrot NYC) for the USDA Animal & Plant Health Protection Service. It was part of a national campaign, including a website and curriculum, to train children to find and report the Asian Longhorned Beetle, an invasive insect. Bottomline, don’t move firewood. And if you see one, grab it, freeze it, and tell someone about it.